For every business, accurate accounting is vital for success. QuickBooks is the leading accounting software choice for small to medium-sized businesses, helping them start, run, and succeed. Save time on bookkeeping and paperwork. Many simple bookkeeping tasks are handled automatically, making it easier to run your business. By using familiar forms, QuickBooks takes care of the math and makes your life easier at tax time. Always know where your business stands with generated reports. Designed to give you the information you need, the reports ensure you instantly know whether you're making money and whether your business is healthy. Save money on your accounting program. You can use it to run a $100 thousand or a $15 million business for a few hundred dollars, making it a great bargain. QuickBooks helps you design a business plan to secure a small business loan or line of credit. It creates a projected balance sheet, profit and loss statement, and statement of cash flow in the format recommended by the U.S. Small Business Administration. Customize QuickBooks to work the way you want. The program is specifically designed to be flexible and adaptable to a wide range of small businesses. 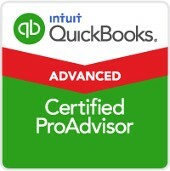 To broaden its appeal, QuickBooks has customized accounting packages for manufacturers, contractors, professional service providers, wholesalers and distributors, retailers, and nonprofit organizations. 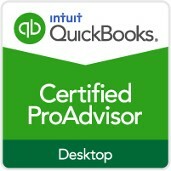 Rest assured knowing that QuickBooks is stable and proven. 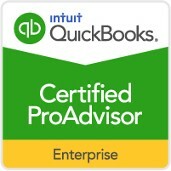 Hundreds of thousands of small businesses around the world have chosen QuickBooks as their accounting software. You can't go wrong with a software program with such an extensive user base. Save typing time and minimize errors by sharing data between QuickBooks and over 100 business applications. You can even share data with popular programs such as Excel, Word, Outlook, and ACT. Easily email an invoice or statement for your customers. With Online Billing, your customer easily pays you with a credit card or bank account transfer so, no more waiting for the check in the mail. With the Merchant Account Service, you can accept credit cards with ease. This is the only credit card acceptance service integrated with QuickBooks software, which means you don't have to enter the same data twice. Your customers can use Visa™, MasterCard™, American Express™, and Discover™. Make sure you can quickly access your important information. Store and organize your customer, vendor, and employee information in one place. Set up your current bank account in QuickBooks, and you're ready to pay your bills without licking envelopes, sticking stamps, or printing paper checks. Just write checks in QuickBooks as you normally would, click a button, and your bank does the rest. Online Banking also lets you download your monthly statement from your bank directly into QuickBooks for easier reconciliation. Contact Barbara at (239) 997-0990 in Fort Myers, Florida, to take care of your company's finances with QuickBooks training.